Why Should VR-AR Startups Apply to Accelerators in 2018? Applications are open for StartupYard Batch 9! Are you a startup, or an entrepreneur with a great Deep Tech idea? 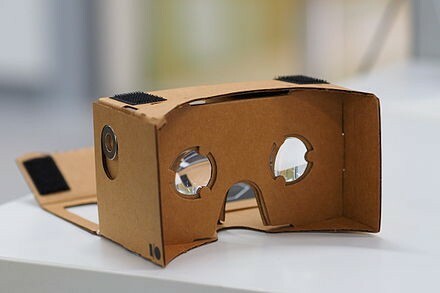 VR/AR (Virtual Reality and Augmented Reality), have been around as concepts for a long time. 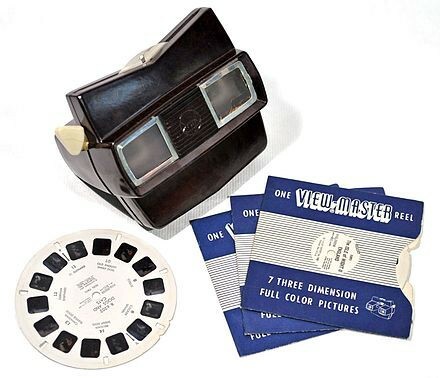 What we might recognize as VR in its modern form dates back, surprisingly, to the 1950s, when the inventor Morton Heilig developed the “Sensorama,” a machine that combined stereoscopic images, binaural sound, and even smell into 5 short films. Augmented Reality, or AR, has in fact found broader applications in the past few decades. It is common in military applications, and in aviation, where it is used to enhance HUD (Heads Up Displays) with flight data. Today, even some production cars include HUD displays as a safety and ergonomic feature. 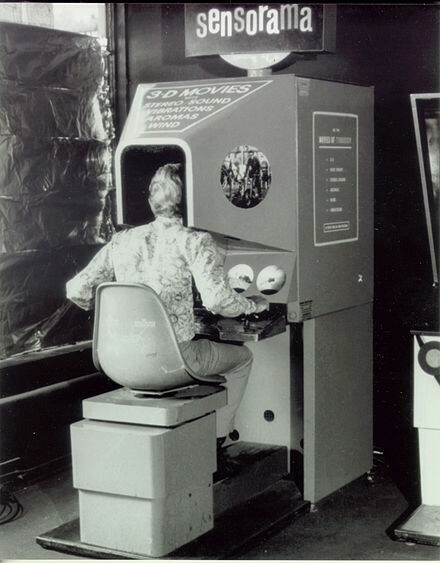 Since the 50s, VR has periodically captured the public imagination — notably in the 1990s, when both Sega and Nintendo developed headsets (though Sega’s never reached the market). Even photorealistic 3d simulations were possible by the late 1990s — I tried one myself at the Kennedy Space center nearly 20 years ago. 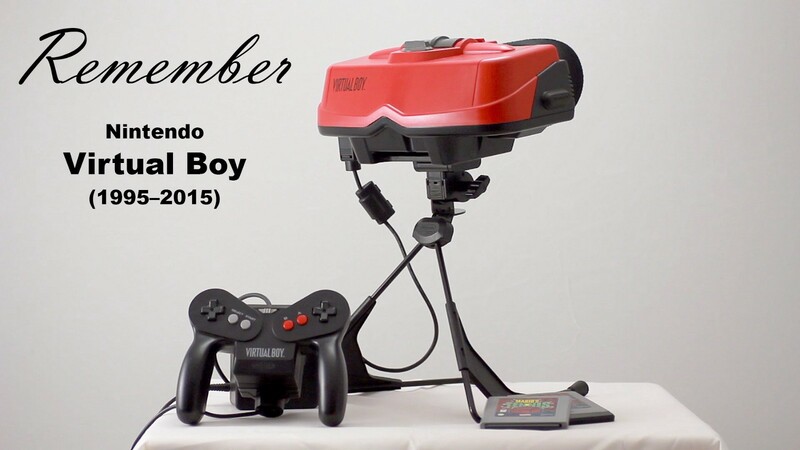 But despite the hype, VR has never taken the mass market by storm. This post will dive into some of the reasons why not, and why now is probably different. For the past few years, familiar signs of a resurgence in VR popularity have been growing. What has changed? It seemed cool, but it was pretty awful. Obviously something. StartupYard has received more inquiries from AR/VR and so called “mixed reality” startups during our current open call than in any previous year. In fact, I’ve personally met more VR startup founders in the past 6 months than I had in the past 4 years combined. Why are VR/AR Startups Applying to StartupYard Now? This year, we got an influx of applications from startups, all working on AR/VR technologies and applications. We shortlisted several, and eventually accelerated two: Mixed Reality Cloud, and Mindbox. In this post, I’m going to outline a few reasons why I think the AR/VR train is suddenly coming into the station in 2017. As with any technology, there is not always a perfect correlation between being able to do something, and having a good reason to do it. As we will find in this piece, technologies tend to really explode only when both those conditions are fulfilled. As Gizmodo noted over a year ago, the massive adoption of smartphone technology has peaked, and is now slowing down as consumers cycle more slowly through technologies that bring fewer noticeable improvements, at a lower rate over time. The release of the iPhone X, for all its technical achievements, underlined the basic premise: the smartphone concept has been fully articulated, and is now undergoing continual refinement. Smartphones and tablets have ceased to double and redouble their abilities every year, and have begun to be refined into replacements for the traditional desktop computer for many consumers. Already, tablets and phablets have replaced home computers for many consumers. In business, the same trend will likely follow. This has had a few consequences. First, the core benefits of a smartphone have more or less been fully realized. A typical smartphone can do almost anything you’d want it to do. There is no longer a huge demand for performance improvements, given that even a low-end phone can do so much. The market has become highly differentiated, and every niche has been filled. Second, as smartphones have become ubiquitous, the businesses built on leveraging them have also achieved scale and begun to saturate the market. As room runs out for smartphone makers to stand out against competitors and justify their higher prices, new use cases must be found or invented. And VR, particularly recently, has been the beneficiary of that pressure. Related but distinct is the peak of the “mobile revolution.” It may be hard to believe, but it was only in 2016 that mobile web browsing overtook desktop browsing for the first time. Today, a majority of human interaction with the internet is done using mobile devices. Facebook, at the center of that revolution, has grown to over 2 billion active users, but its unprecedented growth of the late 2000s and early 2010s (which was around the time Facebook transformed itself into a mobile-first company) has slowed to a crawl. Not because people are using it less, but because it isrunning out of new people to add to the platform. As a sign of how mature the mobile market has become, Facebook indicated in 2016 that it would soon run out of space to show people ads on their newsfeeds, prompting the company to begin delving into new experiences in which customers can see and interact with advertisers (such as messaging, and soon, VR). The mobile revolution brought the age of apps from the Apple App store, Updates from Facebook, Google Maps and the Play Store, and mobile gaming. Mobile gaming alone became more profitable than traditional gaming in 2016. Again, as with peak smartphone: peak mobile means that mobile software and content developers, along with advertisers, face higher competition and a more saturated market than ever before. Differentiation on mobile has become harder, and so they are actively seeking new media that can provide fertile ground for new content, and new marketing. Gartner noted in their predictions for consumer digital technology in 2017, two very interesting trends. First, that the key upcoming innovations in mobile mostly have to do with AI, IoT (Internet of Things) and ubiquitous computing. Not with consumer applications, but with intelligence and data layers that enrich our lives without necessarily meaning we need to actively engage with them. And this is backed up by recent hardware developments. Amazon is promoting home computing systems with no physical inputs at all. Apple has just announced the HomePod, which again, proposes to eliminate some use cases for smartphones and televisions, and free up our eyes for looking at, I suppose, other people. I have been told that is what people used to do. There has been a lot of talk about how the Amazon Echo and other home audio devices are a new medium for advertising, but I’m sceptical of how important that will be in the future. In a technology landscape where more and more of our contact with computers and information is self-directed, and two-way, the nature of advertising and marketing will have to change as well. Perhaps in 5 years a display ad will be a dying relic, and new “marketing AIs” will instead engage directly with individuals to find products that best suit their needs. At the same time, Gartner predicts that VR, not television, and not tablets or smartphones, will be the leading area of innovation for digital media. So as home computing trends toward becoming less obtrusive, and less all-consuming, at the same time, VR promises to offer a deeper content experience than any medium ever has before. If smartphones and home computers are going to be less attention-consuming than ever, then where will content creators and marketers go? A good bet is that many will see AR/VR as fertile ground for development. What better medium than somewhere people choose to go to become totally absorbed? As smartphones and mobile-first applications have become the core of our experience of media in general, our experience of online content and storytelling has, in some ways, become less impactful. Everything is noise, and nothing is substantial- a feeling you’ve no doubt detected on your Facebook News Feed more than once. Technology has progressed, but it’s failed to deliver experiences people engage with ever more deeply. We may check our phones hundreds of times a day, but do we watch whole movies, read a whole magazine, or play through entire games? Not so much. And in fact, consumers are not happy with these changes. The ASCI found in its most recent consumer studies, that consumer satisfaction with computer software, smartphones, and social media platforms declined overall in 2017, or failed to make any gains – breaking a decade long trend of increasing satisfaction in these areas. So we’re getting sick of the status quo. VR can be seen as literally the antidote to checking a smartphone 150+ times a day: a medium that requires your full attention as no other digital media does. And that’s a super attractive prospect, not only to a content creator, but to an advertiser as well. As the smartphone has evolved, it has at times tried to fill very contradictory roles. It wants to be, by turns, invisible, and very visible: innocuous, and attention getting. We’ve cycled rapidly between smartphones technologies that virtually disappear into the background (like smartwatches), and those that dominate our field of view, like phablets, and even mobile VR headsets. Very often the same companies, like Apple and Samsung, try to sell us both ideas at the same time. But I am betting that the age of “in-between” experiences is not going to last forever. Ultimately, people want rich content experiences. People still go to cinemas, even though they can download thousands of titles on demand. People still read paper books, even though it rarely makes economic or practical sense anymore. I would bet that VR will join staples of media like the book and the cinema- a technology people use not for convenience, but for the value and depth of the experience. StartupYard has been involved with data focused companies from the beginning. But for years, up until just very recently, one of the only ways of turning big data into a business was the same way people had been doing it for generations: selling it to somebody. Of course, that generated many user-facing applications that enhance people’s lives and make things easier, but at the end of the value chain for most data, there is an advertiser waiting. Facebook, Amazon, and Google have built empires on that assumption, and Apple and Microsoft have made the infrastructure and devices that generate the data, and make it possible to distribute the resulting content, with ads embedded. Data may still be “the new oil,” as it has become popular to say, but we must remember that as with oil, it took many years, and many fits and starts, to discover its ultimate potential. Consider the evolution of oil in the modern world. First we burned it, and when that trick got old, we figured out ways of distilling it to make it burn even hotter. Then we figured out that you could use it to make things: chemicals, plastics, synthetic rubber, and other materials. The innovation with oil wasn’t setting it on fire (we have known oil burns for thousands of years). The innovation was in making novel things out of the oil: fuel, but also tires and even whole cars, smartphones, microchips, and everything in between. VR promises at least one way in which big data will actually translate into novel products that ordinary people can use. Creating artificial environments, or enhancing existing environments with information and interactive elements takes a lot of data. As sensors and data processing platforms have grown in complexity and scale, we are approaching a point at which we can use that scale to be creatively free to make new things. I have met recently with more than one startup who are counting on that very assumption: that now, unlike ever before, we have enough data about places, objects, physics, and people, to make artificial environments that will be fulfilling to use, and add detail to real environments that will be really useful. I believe that a century from now, we will view VR as the child of big data — just as we now view the automobile as the child of big oil. There are some technologies that have been so easy to describe, that we’ve known we wanted them since long before they were possible. Powered flight, for example. For centuries, humans understood the benefits of flying, but still, we didn’t have the knowledge or skill to make flight a reality. And yet other technologies are strangely elusive in that way. The telephone was patented in 1876 by Alexander Graham Bell, who, according to legend, was unable to sell the technology to Western Union for $100,000 because they thought it was a toy. Despite what we know now about the transformative power of the telephone, it’s surprising to learn that despite the fact that transatlantic telegraph cables existed before the telephone was invented, the first transatlantic telephone call took place over 50 years later, in 1927. And that first phone call from England to the United States happened the same year as Lindberg’s first flight from New York to Paris, only 24 years after the first working airplane was built. Airplanes were never underestimated, but it took a lot of imagination to picture the way the telephone would transform life as we knew it. Western Union had been right at the beginning: without a dense network of connections to make it truly useful, the telephone was only a novelty. You needed dense telephone networks on both sides of the Atlantic to make a transatlantic call economically viable. Yet when it became commercially viable, the benefits were so obvious that in another 25 years, there was a telephone in literally every house in the developed world. So while international telephony was inevitable due to its technical advantages, it was not obvious, due to its network dependency. VR is a lot like that. It’s been not much more than a toy for decades, because the network needed to support its most promising functions hasn’t really existed until recently. How do you generate content? How do you distribute it? These solutions have been long coming, but they have only just begun to make VR an obvious area of growth in the future. And today, startups are seeing opportunities in the same way that businesses first began to realize the potential of the telephone decades after its invention. A network has been needed, and today, with a world full of smartphones, connected by social networks, and filled with content creators and eager marketers, that time has finally arrived for VR. https://startupyard.com/wp-content/uploads/2017/11/20171115_224434-2.jpg 2988 5312 Lloyd Waldo https://startupyard.com/wp-content/uploads/2015/02/Logo.png Lloyd Waldo2017-12-01 13:30:072018-05-26 12:34:03Why Should VR-AR Startups Apply to Accelerators in 2018? In our last post, we talked about the “Hero’s Journey,” the basic premise of most modern storytelling. We looked at some examples of this story in action, and some examples of it done badly. Now we’re going to talk about your story as a Startup. This is the plot of the story, and it introduces key characters. But it isn’t enough. The key to a great story about what you and your company does is conflict. What are you fighting against? What is wrong with the world? All stories take place against a backdrop. A time and place, or a certain part of the world or of society, or business. And that setting is a part of the story. The setting changes along with the characters. The characters are affected by the setting. Your setting is a key part of your story because it helps to define the stakes of the story. Putting a story in the wrong setting can damage its impact. For example, telling the story of your Groupon-clone startup against the backdrop of the mobile revolution might be a bit too grandiose. Likewise, for a company doing something ambitious and far reaching, a setting that is too confining limits the story’s impact. The stakes you are playing for are important. Don’t go too big, and don’t go too small. More importantly, particularly for early-stage startups: bigger is not necessarily better. We can’t all change the world right away. Conflicts don’t always occur between competitors. Your conflict is what makes you, as a startup, different from everyone else. Your conflict is what makes you unique. They are your reason for existing. If I’m, say, a home security company, then what is the central conflict of my story? It might be that another security company rips off their customers, and I don’t. That’s a conflict with a villain. It might be that people need to be more concerned about their security. That’s a conflict with the status quo. Or it might be something else entirely. The EveryMan: Portraying a company as representative of the average person, or lacking in pretension (often the opposite of design focus). Why do we call these conflicts? Because in every case, the central conflict is put into contrast with an opposing force. Your company is sustainable, but others are not. Your company is charitable, while others are greedy. Your company is focused on normal people, while the competitors are for specialists or geeks, etc. There is always an opposing viewpoint in brand positioning: there is always someone on the other side of the fence. In Part 1, we talked about how all great stories are human stories. And so the conflict at the heart of a startup’s story has to be a human conflict. But what is smart? What is design-focused? How do we define fun? Why do we want a company to even be fun? We want those things because of how they make us, the customers, feel about ourselves. People don’t buy products from a company because the company is cool, they buy them because the products themselves are cool, and because owning them makes us feel cool too. Your central conflict has to drive your story: it has to be what customers think of when they think of you. These are the words with which you will describe your customer’s feelings. The feelings your products give to customers are the opposite of the bad feelings they have now. That’s an extremely blunt story (and it sounds like an advert for hemorrhoid medication), but it is a story of conflict. There is evil, human suffering, sacrifice, and triumph. It’s everything a story needs to be. It doesn’t matter how big your competition is, or how big the problem is that you’re solving. A startup story is about how you are different: how you see things differently from others. In 2000, Google’s startup story was based on the words: “Don’t be Evil.” For a company positioning itself against competitors like Microsoft and Yahoo, both of which already had a reputation for being sort of evil, this story worked well. Google wasn’t bigger. It wasn’t more powerful. But it was *not* evil. It shouldn’t be a surprise then that 17 years later, this is no longer Google’s story. Yahoo is gone. Microsoft isn’t a member of the “Big 4” any longer. There’s no one for Google to be less evil than anymore. Your conflict has to be something you can win at, though. Otherwise it’s just ridiculous. Better logistics than Amazon? Probably not. Better natural language processing than Google? Doubtful. You have to be able to win at something a competitor doesn’t do well. What is that thing? The way that a character in a story changes is called an “arc.” A character begins as one thing, and ends as another. Foolish to wise. Arrogant to humble. The arc of a character is best seen as a change in what motivates that character- how what they want changes over time. As in the Hero’s Journey, a character with an arc not only becomes wiser, but also wants different things at the end of the story. He or she learns to see the world differently, and thus change their priorities. Thus, archetypal characters have arcs that are some combination of rising and falling. But this trope is not contained in just literature. It is all around us. A person’s life story and the story of a startup are a series of these arcs. Telling a story is about showing how a person has changed. Likewise, a startup story is about how the startup, or the founder, or any other character has experienced an arc. Bill Gates is a Rags to Riches story (not just in the sense of money). He rose from a solitary geek to the king of a software empire. Steve Jobs is a Cinderella story: he rose to the heights of fame, then was drummed out of Apple, but returned to become one of history’s most impactful CEOs. These arcs are all around us: they play out in every life and in every startup. Which is your arc? One of the hardest things about my job is getting founders to sit down and commit their stories to words. The anxiety it provokes is very real. Does this story mean anything? Do I sound stupid? There is a natural tendency for people to avoid exposing themselves for possible shame and ridicule. However, telling your story is a risk: if it doesn’t feel risky, it isn’t a compelling story. Try to keep in mind the elements we’ve covered here: Your setting, your conflict, your characters, and their arcs. If you’re doing that, you’re probably not doing it wrong. Originally published on our blog way back in 2014, this post has been one of our most enduringly popular. According to Google Analytics, the average reader has spent over 20 minutes studying it. It is also our most popular piece on Medium. Since that time, we’ve shared this post with scores of startups, and used the methodology detailed here over and over again. This post is updated to reflect all that we’ve learned in the past 3+ years. “Positioning” has often been described as “the organized system for finding a window in the mind.” That’s how Al Ries and Jack Trout described it in their book: Positioning, a Battle for Your Mind, a groundbreaking work from 1981. Al Ries is often credited with coming up with the term “positioning,” and he describes it as a way of using a customer’s own experience of the world (including with other brands and products) as a way of communicating with that customer. Rather than communicate in a vacuum, companies that use effective positioning target customers who are already familiar with competing products and brands, and use that familiarity to differentiate themselves. In the book, Ries highlights perhaps the most famous example of brand positioning in the 20th century: that of Avis, which in 1962 premiered the tagline: “At No. 2, We Try Harder.” Avis was at the time the market runner up in rental cars, and the company used that fact to imply that they were more accountable than their competitors, because they had to be. 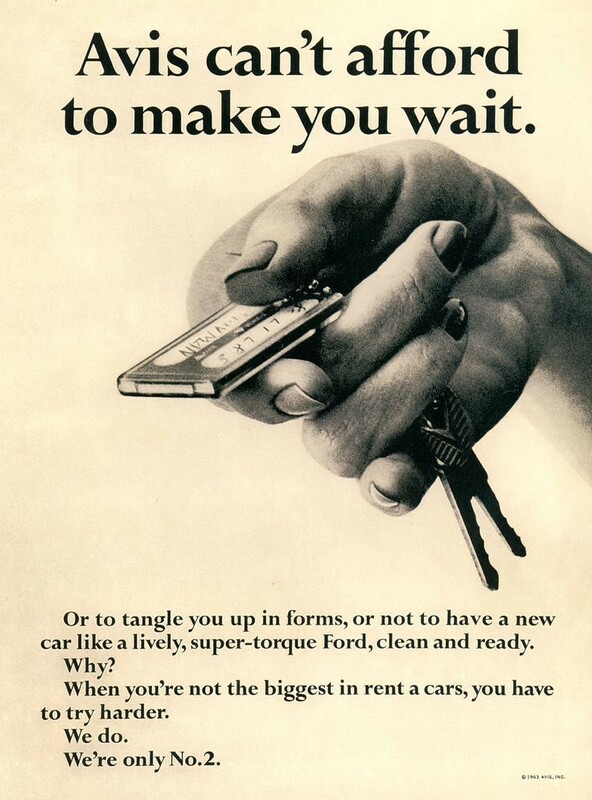 In an early case of position-focused advertising, Avis used their status as 2nd in the market to imply that they were more attentive to their customers, because they had to be. When we stop to think about positioning as a promotional tool, we begin to see that it is everywhere. Brands use their competitors as foils for their own messaging constantly. Remember those “I’m a PC, I’m a Mac” adverts. Apple portrayed PC users as unstylish and bumbling in a popular series of TV spots. In presenting consumers with a new choice: either drink Coke or drink 7-up, the brand found a window into consumers’ minds. It suggested that there were many people who would prefer an alternative to Coke that was not available. By framing 7-up as an alternative to a popular drink, the brand convinced retailers and consumers alike to buy 7-up along with Coke, in order to fill the demand implied by the advert. In 7-up’s ideal scenario, customers would not stop buying Coke, but would buy 7-up in addition to Coke. In the 1970s, 7-Up promoted the idea of a citrus-flavored soda as an “un-cola,” to break down consumer expectations that carbonated sodas are dark in color. The product itself also emphasized its differences from traditional sodas. It was not caffeinated, it was sour, and it mixed well with the more popular alcoholic drinks of the time, including gin and vodka, which were gaining market share in the 1970s. “7 and 7″ was a popular drink choice by 1970, a mix of Seagram’s 7 Crown Gin, and 7-up. The brand thus further differentiated itself from Coke, which had traditionally focused its brand on taste and tradition, using the tagline “It’s the Real Thing.” Whereas Coke was a conservative choice, enjoyed by families and older generations, 7-up was a young brand- enjoyed at night in bars and in cocktails, rather than on sunny afternoons at baseball stadiums or at restaurants. Thanks to these ads, 7-up rose in the 1970s to 3rd place among sodas, only losing its market share with the rise of diet sodas in the 1980s and 90s, and the decline in popularity of mixed drinks in favor of bottled drinks and beer. Here we’ll focus on a sub-discipline of positioning as a whole: Product Positioning. It’s the same general philosophy, but with its own specific methodology. The positioning statement contains the core elements not only of a product, but also of its marketing and sales strategy. And while most of our teams have worked primarily on ways of describing their ideas, a positioning statement does more than this: it also justifies the notion of that idea becoming a business. It’s important for a startup to have the concepts of saleability and market differentiation baked into the essence of the product. Writing a positioning statement, like writing a SWOT analysis, can reveal basic strengths and weaknesses in a product while it is still in the “idea” phase. Even more importantly, a positioning statement can serve as the basis for validation of a product. If you can’t describe what your company does in this compact format, it’s possible that you aren’t sure yet what your company actually does. You may be sure of what you are doing on a technical level, but what that means in business terms might not yet be clear. The positioning statement is a conversation starter, particularly with early mentors and core team members, to facilitate early discussions about core strategy, and how the team sees itself in the bigger picture, what market it is really addressing, and what its real competition is in that market. That provides: Savings and increased comfort by improving efficiency of existing systems. The above “translation” of the Nest positioning statement doesn’t say exactly what their marketing copy says of course. They don’t mention wealthy clientele for one thing. But at $130 for a smoke detector, and $250 for a thermostat, that is surely the market they are targeting. Their products are priced high enough to be clearly exclusive, but low enough not to seem extravagant or make a money-wise customer feel foolish for purchasing. And anyway, that messaging is not only found in the price, but in mention of “homeowners,” and of “higher-efficiency systems.” These subtle cues indicate to customers that the product is made for people who value performance, and are willing to pay to get it. Notice too that none of the positioning statement deals with the exact features of the product. It’s all about the outcomes the product promises. This is key: their competitive differentiation is not on a feature-by-feature basis, but holistic. They frame their competition as not only out of date, but barely worth mentioning at all. They indicate that their competitors (the providers of the systems), are not even in the same business as they are, and that therefore competing products are not even worth comparing in a more granular way. These are all elements of Nest’s marketing that are informed by the market segment they have chosen to address, from the quality of the products, to the design, to the sales language and the pricing. And so the marketing message that says: “this product is for you,” when speaking to its target client, is backed up by a product that is built with that person in mind. The mission is clear: this is not a product for anyone, but for someone very specific, so that when the customer comes across the product and thinks about buying it, he or she can immediately see that it is made for them. There’s a reason the positioning statement starts with “who.” Over the years, we’ve consistently observed that the first thing most startup founders do is try to talk about the product before talking about the customer. But here’s why that’s a mistake, and why the positioning statement doesn’t do that: understanding the target market is the first hurdle in actually validating a new product. Features are a distant second consideration to clearly articulating who the customer is, and what their problem is. A laundry list of features doesn’t really address the problem of “who” the product is for, but only “what” it is for. And that “what” that a feature describes doesn’t necessarily give any indication of what problem is being solved. Startups that are dealing with complex technologies can easily skip over the core user benefits of the technology, in favor of describing the technology itself. Customers ultimately buy solutions to their problems, not technical specifications. And those problems are not always the same as the ones that the feature list actually addresses. Consider this, when thinking about buying a car, what are the first things you’re likely to check? Probably it isn’t technical specifications. Most people will answer one of two ways: they will check either prices, or reviews. That indicates that the customer is very aware of what their problem is. They need a car, and they need it at a certain price, or at a certain minimum level of comfort and safety, or both. Car companies rarely list their prices up front on their websites precisely because they know that this is what customers are looking for, and so they are able to ask for customer information in exchange for information on their pricing. Look carefully at a car commercial, and you’ll be assaulted with subtle and unsubtle cues about price, lifestyle, class, education, and culture, but not much about fuel injection, or anti-lock brakes, or all-wheel drive. These things may get a mention, but the whole object is to present the car as being a great value, in consideration of all that it offers for the price being asked. Lincoln’s famously ponderous commercials for town cars are definitely not focused on features. The goal of a typical car commercial is to convince a customer that they are buying the status and the culture that is associated with the car; that their decision is not motivated by price, even when it usually is. That is how powerful positioning is. By showing a very clear understanding of who their customers are, car companies can turn a price-motivated decision into a statement about who the customer is, and about their place in society as a whole. Try this: go and ask someone why they bought the phone they own, or the car they drive, or the computer they use. Whatever it is, ask them why they chose it. The majority of people you speak to will probably not say: “it’s the best I can afford.” Instead they were answer the question in terms of what the phone or car or computer represents to them; what it says about them and their values. This dedication to explaining our motivations in personal terms doesn’t extend only from a marketing strategy for high end consumer products – it derives from the way those products are made as well. The design and build of a product must subtly betray its role in social signaling for the owner. Cheap cars are “humble,” while super-expensive cars are “subtle.” It is the cars in between that are most ostentatious. When you see a fancy paint job on a cheap little economy car, you cringe because it is a confused communication of values by the owner. It’s pig dressed as a lady. Consumer products can also be designed to signal their utilitarian nature, in order to make customers more comfortable with their purchase. For every €20 bottle of wine, there is a €5 bottle of wine that looks somehow less pretentious, and more sensible. The main difference between a positioning statement and a full blown pitch is that the positioning statement says in plain words, what is really true about who your product is for, and what you believe its market fit to be. This will help you to stay away from visions of (and talk about) your product changing the world, even if it doesn’t really have the capacity or the capability to be a real world changing idea. Not all products have to be for everyone, and many of the best products aren’t. It will also keep you honest and focused; force you to make clear the needs of the market you are targeting, and force you to live in their shoes instead of your own. Paul Graham has an amazing post on his blog, called “Before the Startup.” You should read it. I’ll wait. Ok, for those who haven’t read it: he talks about how his role as a startup mentor is often just to repeat the same things. After a while, he realized that the problem wasn’t that startups didn’t know things- it was that they were asking the wrong kinds of questions. And they were doing it because they’d been trained in life and education to do it that way. Instead of asking “what do you think about…” startup founders ask: “how do I…” They do this because the education system and tech culture itself tell them that there are “secret answers” or “key learnings” that apply to almost any situation. Like the college student who asks if a piece of information will be on the test, startups look for “tricks,” asking what they should be doing, instead of asking for mentors to react to what they’ve actually done. We have much the same experience at StartupYard, and so we thought it would be useful to break down those things we say so often, and explain why it is we say them. For this piece, 11 Things We Say All the Time to Startups, there will be two contributors: StartupYard Managing Director Cedric Maloux, and Community manager Lloyd Waldo. The original version of this post appeared on our blog in March, 2016. Lloyd: Banish this aphorism from your speaking vocabulary. You created a business and risked everything to run a startup on the strength of one idea. You are not like the people who will be your customers. You may know a lot about them, and you may even use your product, but you also created it yourself. That does not give you an excuse to not talk to users, and try to understand them better than you do. Cedric: When we talk about projections (user growth, revenue), founders can get too caught up in how to make projections that investors might believe in. But that’s backwards. Investors will never believe in projections, because they are just that- projections. Instead, you need to develop a plan that makes those projections seem attainable. Investors don’t invest in your projections- they invest in your plan, and if that plan makes sense, it doesn’t matter whether the projections are believable or not. Lloyd: Startups come across a lot of ideas about things that might help them grow. It’s important to keep in mind the goal of doing anything connected with so called “growth hacking,” which is to actually grow. Vanity statistics, like Facebook likes and Twitter followers, are not growth (not alone). But the logic often goes like this: Step 1: Likes on Facebook (or whatever), Step 2: …? Step 3: Growth. Focusing on how something will lead to growth is important- you can’t go from step 1 to step 3 without taking step 2. So what is step 2? Cedric: Just like startups have to focus on how doing things will help them grow, they have to also make sure that every step they take has something after it. Everything has a desired result. You got a meeting with a potential partner? Great. What’s the next step? If there is no next step, then what will that meeting accomplish? What will that partnership accomplish without a clearly stated goal? Lloyd: Simply put, you shouldn’t be communicating with your customers if you aren’t giving them something to do, or something they value. Startup founders usually get a sense that they have to be activating their customers, but they also have to activate them to do clear and understandable things. There also has to be a clear way of measuring whether that activation is actually working. Enter the Call to Action: if you don’t have one, in an email, a post on social media, or a landing page, then you are wasting your users’ time and attention for nothing. Lloyd: Founders are prone to confusing advice with directions. As a mentor, I can give good and actionable advice, but just because I think it will work, doesn’t mean it works. The only way to see if the advice is sound is to try it, and pay attention to the results. Testing can’t tell you everything, but not testing tells you nothing. Cedric: When you meet with employees, with investors, or with anybody, remember that you’re the founder of a company. Your opinion matters, and you need to be heard, loud and clear. Some founders just don’t know how to make themselves heard, and make their presence felt. Instead of owning the room and controlling the conversation, they react passively, and let others lead. Instead, be the boss, and say what you think in a clear, audible voice. You’re the boss. Lloyd: Leading from that, remember that whatever you’re doing, make sure you believe in it. In an accelerator, you get a lot of advice, and a lot of direction. But it’s your company. If you aren’t happy with things a certain way, then the last word is ultimately yours. You should listen, and be open, but you shouldn’t do things just because people tell you to. If something doesn’t feel right, ask for help, but don’t “go with the flow.” It’s your company. Cedric: Selling isn’t about getting money from people. It’s about giving them something they can believe in, and are willing to pay for. To sell in the long run, you have to build a vision that people can relate to, and that people want to be a part of. If you focus on your vision, and on communicating that vision to people, then the money conversations -the selling- are just a detail. A small part of the overall experience, and not the focus. Cedric: B2B sales are very different from B2C sales. In B2B sales, you need to remain in the driver seat, not waiting for the customer to decide that they’d like to work with you. You need to own the process: move each separate piece like a conductor, anticipate every question and issue, and close the deal. Going at the pace that the client picks is, in effect, accepting the client’s own objections and doubts as your own. If you don’t set the pace, then no one will, and many deals that could happen just won’t. Or to put it bluntly: An idea isn’t any good unless it can be explained to someone else. If there were one piece of advice I could drill into the head of every brilliant startup founder I’ve met in my career, it would probably be just that. StartupYard will begin interviews for Batch 8 next week, and in the meantime, we thought we would share with them (and you), 4 key strategies that any startup can use in an interview with us, or any investor, that will help them never to fail. Now, this advice is not going to win you an investment 100% of the time. Investments are complicated, and they involve the needs and priorities of multiple parties. A perfect meeting might not produce an investment for a million valid reasons. But I can guarantee that if you follow this advice well, you will not fail to give your best possible impression to an investor. Follow this advice, and you will not fail for stupid reasons. Simple and yet incredibly difficult for many people. Answer a question as it is asked, not as you would like it to be asked. Did someone ask you a question to which you can say Yes or No? Then say Yes, or No. Then explain your answer. If you’ve never interviewed someone, I can let you in on a secret: it is very obvious when someone does not want to answer your question. It is also very annoying. Are you making any revenue? Well, we only launched about 6 months ago, and we have been focusing on making partnerships with relevant partners who are going to help us scale to our target market, and define the right sales strategy while getting early feedback from customers. But are you making any revenue now? Currently we are in beta and we are talking with a few clients who are ready to become paying customers once the features they need are fully implemented. Are. You. Making. Any. Revenue? We don’t ask trick questions. What would be the point? And yet this behavior is widespread among startup founders. It is a learned behavior that must be slowly and painfully unlearned. We want to know about what we’re asking about. So don’t try to give us the “right” answer. Just give us the real answer. What do you think is worse, us hearing that you aren’t making any revenue, or us leaving the meeting thinking you’re not even capable of answering simple questions? No. But we have a few customers who want to pay us as soon as we have the right features implemented. We only launched 6 months ago, and we’ve been focusing on partnerships. Ok, who are these customers, and what features do they want? Now we’re getting somewhere. And it was so easy! Now we can move to more important questions. This is a real conversation. If the purpose of an interview is to exchange information and to assess a relationship, we would much rather spend our time doing that, than trying to decode cryptic phrases and hints. It might be in school where people learn that an impressive, intelligent answer to a question is necessarily the longest and the most complicated one. It might also be in school where we learn that the one who speaks last has won the argument. We probably learn that from watching our teachers. But are these really good lessons? Among the worst qualities we observe in some founders is the need to triumph, rather than to persuade. But winning an argument is different from convincing someone you may be right, or that you at least know what you’re talking about. Winning is not the goal here. Trust your interviewers to see you as a human being, and they will like you for it. Treat them as human beings, and they will love you. But make the interview into some sort of contest for control of the subject matter and the upper ground, and they will end up wanting to get rid of you. You might be surprised how much investors will respect a founder who is not afraid to admit they don’t know everything. In a room full of smart people, there are always going to be things you don’t know that others do. So much of what we do at StartupYard involves unlearning and deconstructing the behaviors and impulses that stop founders from being great communicators and effective leaders. Most of that boils down to their motivations in any given situation. What do you want to accomplish here? Do you want to win, or do you want to be understood? So start with this simple goal in mind: you want the investors to know you. You want to get to know them. If in the course of an interview, you can achieve this basic understanding, on a human level, then you will have succeeded. My father wore a suit and tie to work for 30 years. When I got a bit older and started working, I told him I’d never wear a suit and tie to work. I still don’t wear a suit to work, because I work with startups, and nobody does. But still, I notice when a person is poorly or inappropriately dressed for any given situation. And that can swing both ways: a guy in an immaculate 3-piece suit who wants to talk about his startup is as out of place as the guy in the bathrobe with sleep in his eyes. Neither belong in that situation. Failure to dress like you belong can show that you don’t respect the social customs of your surroundings, but also that you don’t see yourself as belonging to them. So think just a bit about how you look. Do you look like a startup founder? If you’re not sure, you may need to think more about this. Not too much. But a little. What is the problem you’re solving? If you can’t answer these three questions clearly, and succinctly, then perhaps you don’t know the answers well enough yet. And when you sit down to answer these questions, try and imagine an investor hearing this for the first time. What is that person likely to ask you? Why does X want to Y when Z? Oops. Do you know why your problem is actually a problem? It might surprise you how frequently founders aren’t all that sure that the problem they’re solving is even a real problem at all. Because “answering the question,” as in literally stating the problem, is not really answering the question. The object of the question is to get a useful answer: Why is it a problem? When is it a problem? How is it a problem? What is the result of the problem? So be ready for a follow up. It will come. Remember, a good investor, especially at an early stage, should be evaluating your ability to think clearly, as much as the idea you are describing to them. They can hate the idea, but be impressed with the clarity of your thinking. That happens to me all the time. We have invested in companies whose ideas we didn’t fully agree with, because they showed they could think well and be receptive. That’s more valuable than an idea you love, and a founder who can’t answer simple questions about it. In assessing which of those two founders is likely to be a success, the one who can answer questions is the one we pick every time. We’re pleased to announce that StartupYard will partner with Bucharest.ai to reach out to AI specialists and enthusiasts in Romania ahead of and during our visit on the 6th. Bucharest.ai, a part of the CITY.AI project, will speak about the current state of AI in Romania, and give insights and inspiration to potential founders of AI companies in the region. CITY.AI is a community of 23+ cities that share discoveries in applied AI and connect you to international peers. City.AI powers Chapters throughout the globe. The local communities bring unique contributions, perspectives and are bound by the purpose of collaborative knowledge in the field of Applied AI. By increasing transparency and collaboration, we aim to enable more people to better apply artificial intelligence. Alexandra Petrus is an experienced operations and product leadership professional, with 6+ years of international startup experience who focuses on new technology products and services. Currently contributing to the fintech & ecomm world through products @2checkout; she ran Products @Reincubate – the app data company, helps build the Bucharest City.AI Chapter as an Ambassador and is igniting her hobby and passion that are the emerging technologies & how to contribute to a better life and environment experience through the side projects that she runs (#healthtech). Are Romanian deep tech startups, those working on AI, Machine Learning, advanced Cryptography, Blockchain, and IOT applications, competitive yet on the global stage? That is what the StartupYard team will explore during a day of workshops and networking at TechHub Bucharest, on Tuesday, June 6th, 2017. Looking for feedback, advice, or connections in a specific domain, or on your ideas generally? We’re here to lend you a hand. 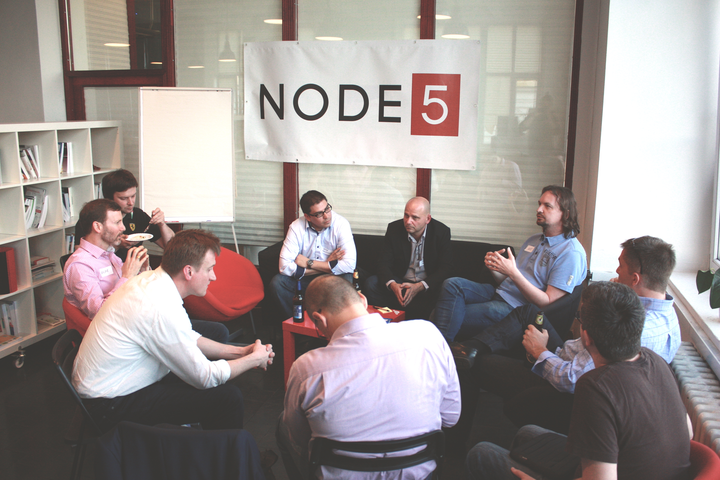 You can sign up to meet the StartupYard team for a private 20-minute session on June 6th. No obligations whatsoever. Making it Real: Storytelling and Positioning for Deep Tech. In this spellbinding workshop, Lloyd Waldo, creative marketing veteran of dozens of startups, will show entrepreneurs how early stage companies can apply practical storytelling skills to convince their earliest stakeholders (including cofounders, investors, customers, and employees), of the power of a new idea. Learn to instinctively transform ideas from dry descriptions and speculation into compelling narratives, that put you in control of the conversation. Learn how simple positioning and framing devices can help you to achieve greater clarity in your ideas, and persuade others to believe in what you do. –Hosted by StartupYard Community Manager Lloyd Waldo , 14:00-15:30, Tuesday June 6th at TechHub Bucharest. Cedric Maloux has been an internet entrepreneur almost since there has been an internet after graduating in 1992 as an Engineer in Artificial Intelligence. He started his first major online venture in 1996, and sold it in 2000. He’s been starting new ones ever since reaching millions of users around the world. StartupYard, which Maloux runs as Managing Director, helps technically sophisticated developers and makers turn their ideas into real, growing businesses. In recent years, we have helped launch a series of high tech startups including TeskaLabs, Neuron Soundware, Cryptelo, Chatler.ai and Rossum.ai. Find out how these startups went from a brilliant idea, to companies serving clients all over the world with cutting edge technologies. –Hosted by StartupYard MD Cedric Maloux. 18:00-19:00, Tuesday June 6th at TechHub Bucharest. This week I visited Warsaw, for Google Campus’s exlusive “CEE Allstars” event, matching investors and startups at a 1:1 ratio for 2 days of pitches and discussions. During the event, I sat down for an episode of the StartupYard podcast with Thomas Patzko, to talk about Impact Hub Zurich, growing startups in one of the world’s richest and most conservative countries, and fundraising for Central European startups. Communities like ImpactHub are growing in their importance as a defense against predatory investors or wild speculation. For Thomas work is more than just making money. That is one of the reasons why he has worked in multiple fields, including a private home for the aged, building and leading various country presences of an insurance corporation, and for nine years as an independent business consultant and coach. His journey of finding possibilities to facilitate real change and encouraging individuals to experience happiness in their professional lives, has led Thomas to the Impact Hub where he curates the relationship with corporate partners and conducts business development. He holds an M.Sc. in economy and business administration and has completed advanced degrees in coaching and sociology. ImpactHub is built around the belief that the world’s greatest challenges will never be solved by one person or organization alone. We need to work together. ImpactHub has set out to build a thriving innovation ecosystem where people collaborate across organizations, cultures and generations to solve the grand challenges of our time. ImpactHub Zurich, among the largest of ImpactHub’s locations, has nearly 1000 members, and reaches 10s of thousands of people in Zurich and across Europe. It was founded in 2010, and has 3 locations in Zurich. Dite Gashi is the founder and CEO of Decissio, the blockchain powered investment management and smart-contracts platform that was accelerated at StartupYard this year. Dite has called Decissio the “Jarvis” of investment decision making. The company is working to build a data platform that helps venture investors and professional portfolio managers to actively manage their investments, based on blockchain verified and real-time data. Hi Dite, you’ve been working with Blockchain technology for almost as long as it has been around. Tell us how you got into Blockchain, and why it still fascinates you. Blockchain has been an obsession of mine from when it came out as a research paper, all the way up to Bitcoin and Ethereum. My background is in computer science, business management and economics. This knowledge base, fueled by curiosity, allowed me to dive deeper into blockchain concepts first and then into their applications in the world of business quicker than the mainstream world, which to this day I believe has a superficial understanding of blockchain as an innovation. What doesn’t the mainstream business world understand about Blockchain? The fear of missing out is big. I’d go as far as to say that’s the money that keeps most blockchain startups running. Wanting to be part of the new revolution is totally fine, however the way that they go about it tends to be sub-optimal. Investors sometimes invest in shady schemes and promising ICO’s (Initial Coin Offering) without proper tech due diligence and auditing, just to find out a few months down the line that the tokens they got are suddenly worthless. I think the greatest misconception lies in not understanding the basic utility that blockchain provides, which in most cases boils down to somehow cutting out the middle man. Only after understanding it, can you think of an investment opportunity through the filter of whether a blockchain application would be the best for that particular purpose. There are many applications out there who would do fine without blockchain. You attended StartupYard as part of Batch 7 earlier this year. What do you think that other founders with Blockchain ideas can get out of StartupYard? Having been present in the blockchain sphere for a while I can attest that most blockchain people tend to be technologically inclined, or as the world likes to call them, nerds. They have strong technical skills that they apply or a great ability to understand and aim to solve important problems. I believe that is great for building technology blocks, innovating and bringing about thought provoking questions of alternate models of functioning. Where the blockchain community does fall short though is the ability to reach out to people. I believe blockchain founders can learn about marketing, how to sell and how to communicate with masses. They can better refine their offerings to match the needs of the market – something that many startups miss. Right now we are seeing a sort of valley between the promise of Blockchain innovation and the realities. Right now, the technology is too geeky and complex for ordinary people to use, and too fringy and speculative for corporations to really get behind it. A team I put together last month took 2nd place in the KB Fintech Hackathon in Prague, working on a blockchain contract verification system, so it’s obvious that banks are starting to see real potential in the technology. Still, we are in the very early days, and blockchain founders are going to need a lot of exposure to the perceptions and expectations of existing industries, in order to come up with solutions that have a chance of being adopted widely. StartupYard is an ideal environment for a really speculative technology to come face to face with the hard reality of the market. I think Decissio is a perfect example of that: all the traction we’ve gained has been thanks to the feedback we got directly from potential customers at StartupYard. What do you see as the biggest barriers for Blockchain founders right now? Probably more than any area in tech in recent history, blockchain does have a credibility problem. A big part of that has been the ongoing saga of Bitcoin, which has unfortunately attracted a lot of negative attention. Rightly so, I think, because Bitcoin brought some of the worst elements to the blockchain community, and became an attractor for the get-rich-quick schemers and for cyber-criminals and extreme political ideologues. Actually this is nothing new: the internet itself did basically the same thing in the 1990s especially, and it suffered its own credibility gap, until serious, in-depth businesses started to make the web safer and more usable for regular people and business. Any really disruptive area of technology has this cycle built in. Now we need serious, sober thinkers to apply themselves to making blockchain useful in real life, and not just in fringe communities. That is a blocker for good people to take Blockchain technology seriously, and a blocker for them to pitch new blockchain ideas in the business and consumer worlds. This is also a reason why I see StartupYard as a great platform for serious Blockchain innovators. Working with an accelerator like StartupYard brings much needed credibility to ideas that many would-be customers and partners might not take seriously. But with StartupYard, you have a chance to be heard by the right people, and given a chance to convince them you’re doing something interesting. What was your biggest surprise attending StartupYard? What were you not expecting to change? The biggest shock for me was to figure out how mainstream customers (in my case, investors) think in relation to products and services they purchase. We tend to turn it into a complex equation, however it boils down to really simple factors when facing a buying decision. I believed that I could relate to customers and if we had a great technological products sales would soar. That is the case sometimes, however if you can’t really explain how it relates to people you are selling to, the product is a lost cause. I thought I was good at that, but being faced with mentors, customers and advisors it is obvious that I had a lot of catching up to do – which has lead to tremendous growth of knowledge on my end. What do you think are the biggest weaknesses in the Blockchain community, when it comes to turning new ideas into businesses? Blockchain is a maturing technology that has tremendous potential. I like to make comparisons with the early days of cloud computing – companies like Dropbox, Amazon Web Services, Azure capitalized on new technology breakthroughs, and built great products. Blockchain has the potential to be as transformative as cloud computing in the near future. When you really look at it, Blockchain can form the backbone for a whole new way of looking at the web. There are really not many areas of commerce or government, or even interpersonal relationships, that Blockchain won’t touch. Imagine things like credit card fraud or political corruption being impossible, because at every level, monetary transactions and activities can be audited by powerful AIs. Imagine democratic processes that are un-hackable, or messaging systems that are impossible to hack into. Scary ideas for some people, I’m sure, but an amazing vision of the future for most of us. The internet has created unprecedented prosperity, but also unprecedented opportunities for fraud and abuse. Blockchain technology, or something very much like it, may be the answer as to how we move forward into a trust based society, where everyone has really powerful tools for protecting themselves and being treated fairly. I believe there are many disruptive blockchain applications and companies waiting to be built by ambitious founders. The weaknesses that community faces is monetization. Many blockchain ideas sound good on paper, however for an idea to work and thrive it has to benefit all stakeholders involved, including founders and investors. With the cloud, there was also a learning curve around how it would be monetized: there was uncertainty about where the defensible value of new products was, be it in hardware or software. Blockchain has the same issue, only more so: it is about distribution and de-centralization, which makes it more complicated to create a business model around it. It doesn’t help that blockchain people seem to be a part of a bubble and are often isolated from actual customer needs. Disruptive technology needs to have people behind it that really understand the customers whose industries they are disrupting. As became very clear to me working with the mentors at StartupYard, just because we see ourselves as creating new technologies, doesn’t actually mean that customers see us that way: people rarely buy technologies, they buy solutions to their problems, in whatever form that takes. What would you say to a Blockchain startup founder who is thinking about applying to StartupYard? Having blockchain experience I receive loads of requests for consultation ranging from technology architecture to cryptocurrency trading. It has led me to grow a bit reluctant to provide strong advice, just because the field is changing so often and I would like to be accurate with my proposals. However in the case of StartupYard I am 100% convinced that it would benefit a blockchain founder tremendously. Trust me on this one, do it and then thank me later. While at StartupYard I would encourage them to go in with an open mind towards receiving all sorts of feedback and then incorporate what they believe applies to them. In the same time be ready to handle the frustration of “people not getting it”. Just because you have been breathing, living and working blockchain it does not mean the rest of the world stopped. People have their own jobs and industries they work in. Focus on learning as much as you can and apply the lessons to refine your product. Good luck! You can now apply for StartupYard Batch #8.